What Does Code P0334 Mean? The knock sensor (KS) is mounted in the engine and is used to detect spark knock. When there is spark knock or pinging, the sensor produces a voltage signal that is sent to PCM. The PCM will then retard ignition timing to protect the engine. 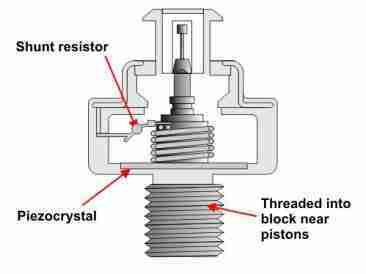 Inside, the knock sensor is a piezoelectric crystal. This crystal is used to produce AC voltage under vibration. 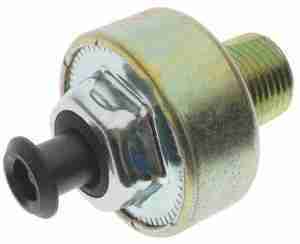 The knock sensor is a form of transducer, which is a device that converts changes in physical quantity into an electrical signal. In other words, a knock sensor does not receive a reference voltage from the PCM – it creates its own. There are two basic types of knock sensors: the style used in older vehicles and the resonant design used in modern vehicles. P0334 stands for knock sensor circuit intermittent. This means the PCM has detected a problem with the knock sensor or its circuit. Some vehicles may be equipped with two knock sensors. Code P0334 pertains to the sensor on bank 2 (the opposite side of the engine where the #2 cylinder is located). What are the common causes of code P0334 ? What are the symptoms of code P0334 ? You may notice a lack of power, hesitation and/or pinging. In some cases, however, an illuminated check engine light will be the only symptom. How do you troubleshoot code P0334 ? Perform a visual inspection of the sensor and connection. Note that this test will only work on old style knock sensors. Connect a timing light to the vehicle and start the engine. Allow the engine to warm up and aim the timing light toward the timing marks on the harmonic balancer. Locate the knock sensor and tap on an engine location near the sensor (do not directly strike the sensor). If the sensor is working correctly, you should see the timing begin to retard. If not, you have a problem with the sensor or its circuit. Hint: this test can also be performed by monitoring the ignition timing on a scan tool, instead of using a timing light. If your vehicle fails the basic test listed above, it’s time to determine what part of the sensor circuit is to blame. 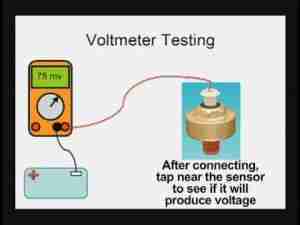 To test an old-style knock sensor, connect a digital multimeter set to AC voltage between the knock sensor output signal wire and a good ground. Then once again, tap on an engine location near the sensor. You should see an AC voltage reading on your digital multimeter. If not, the sensor is bad and should be replaced. 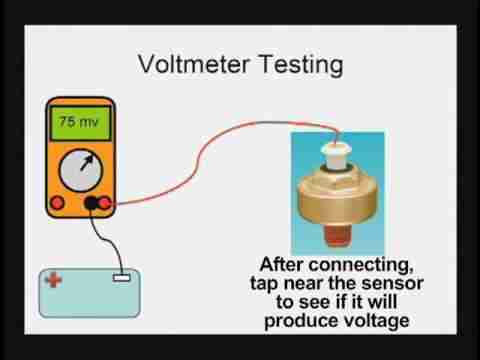 To test a vehicle with a resonant style sensor, you’ll connect your digital multimeter the same way as you would for a Weidman style sensor. But, instead of tapping on the engine block, you’ll start by removing the fuel pump relay to prevent the engine from starting. Crank the engine, put the vehicle in gear and keep your foot on the brake. Accelerate a little; as the vehicle is starved for fuel it will begin to ping and you should see an AC voltage output. If not, the knock sensor is bad and should be replaced. 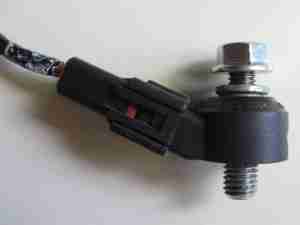 If the knock sensor checks out OK, but you still have P0334 code illuminated, you’ll need to check the sensor circuit. Using a digital multimeter set to the ohms, connect one side of the meter to the harness side of the knock sensor connector and the other to the knock sensor input pin on the PCM. 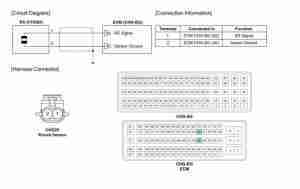 This tests for continuity between the sensor and PCM. If your meter reads OL, there is an open somewhere in the circuit that must be repaired. If not, the PCM is likely the problem and should be replaced. 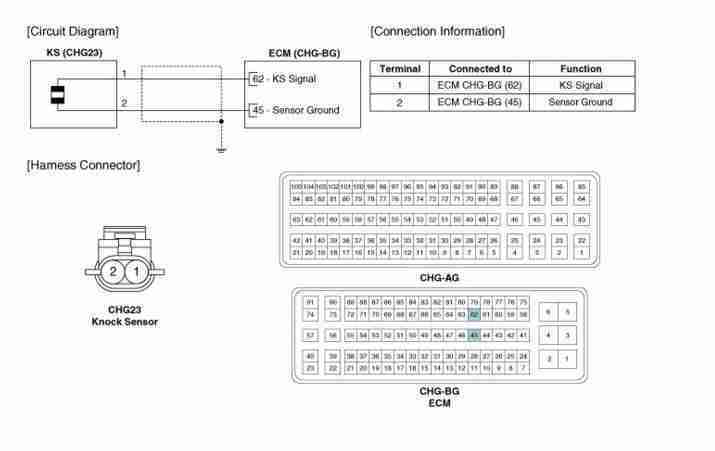 While old-style knock sensors ground through the sensor itself, resonant style sensors typically have a separate ground circuit. In this case, you’ll want to use a digital multimeter to ensure there is a good ground before condemning the PCM. Start by consulting the wiring diagram for your vehicle to determine which pin on the connector is power and which is ground. Next, connect the red multimeter lead to the battery positive terminal and the black lead to ground. You should see a reading of about 12 volts indicating a good ground. If not, you’ll need to consult the ground side of the wiring diagram to find where the circuit fault lies. None found. Ask a question about P0334.